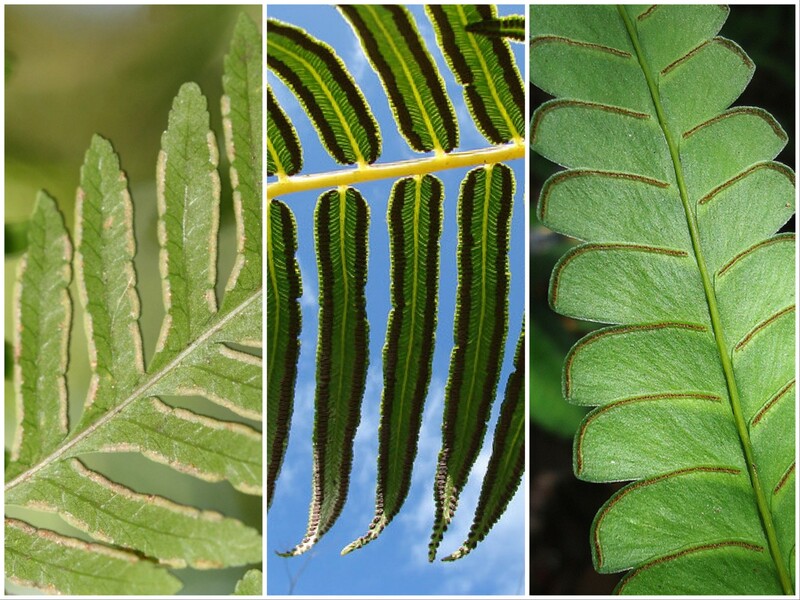 That’s right folks, another plant post … sori. Ferns are primitive land plants that do not flower or produce seeds in order to reproduce. 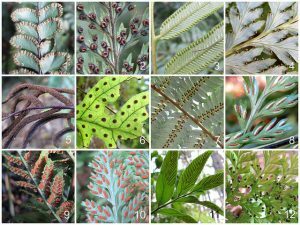 Therefore, they cannot be classified as either angiosperms (flowering plants) or gymnosperms (seed plants), instead belonging to the pteridophyte (ferns and allies) group. Although ferns still have roots, stems and leaves, their structure is slightly different to the typical plant structure familiar to us. Instead of simple leaves arising from a stem, ferns have fronds arising from a stipe. 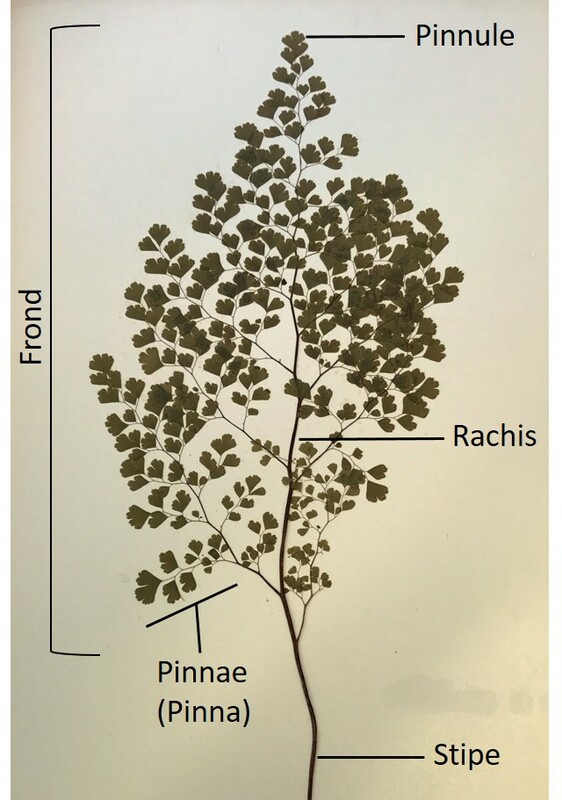 The fronds (leaves) are separated by a rachis into pinnae, and then the pinnae are further divided into pinnules. 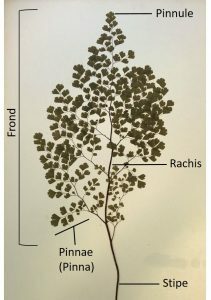 The black to brown coloured structures on the underside of the pinnules are called the sori (plural), and each sorus (singular) is made up of clusters of sporangia, which contain the fertile spores. 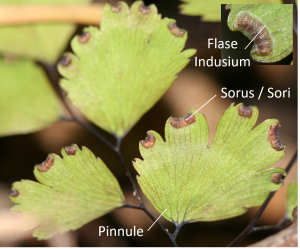 The sori are protected by a membranous cover called the indusium which helps to prevent desiccation (drying out) of the spores. 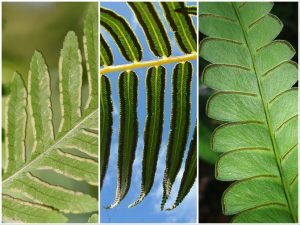 In some fern species however, the indusium can just be a ‘folding-under’ of the leaf margin, called a ‘false indusium’. 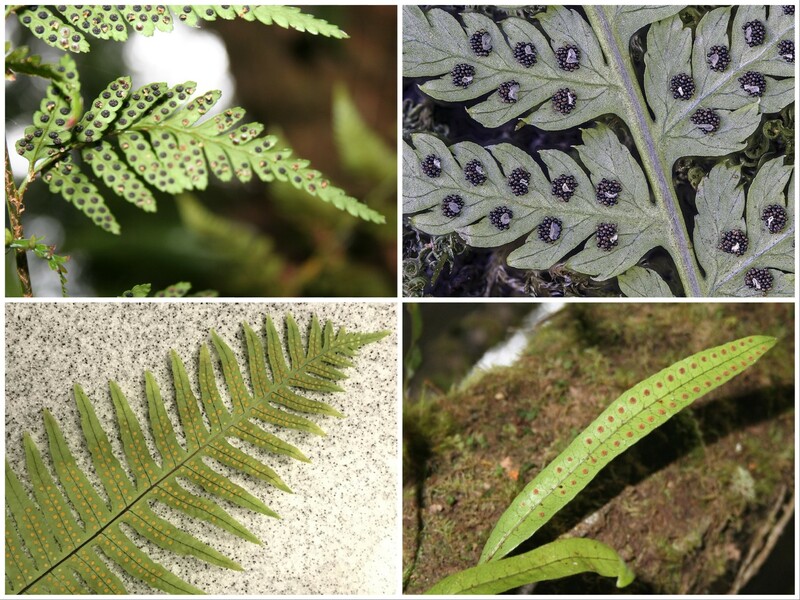 The position and structure of the sori is extremely variable among fern species, and although they perform an important biological role, they also provide key diagnostic features in fern taxonomy, allowing differentiation between species. They also, in my opinion, look like works of art, providing a multitude of different patterns in the environment. 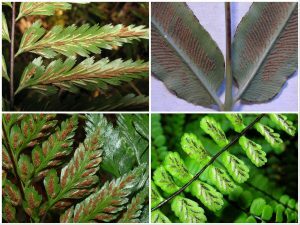 Commonly, sori are small and spherical in shape and are generally located either along the central mid-vein of the pinnule (leaf-like structure), or at the pinnule margins. 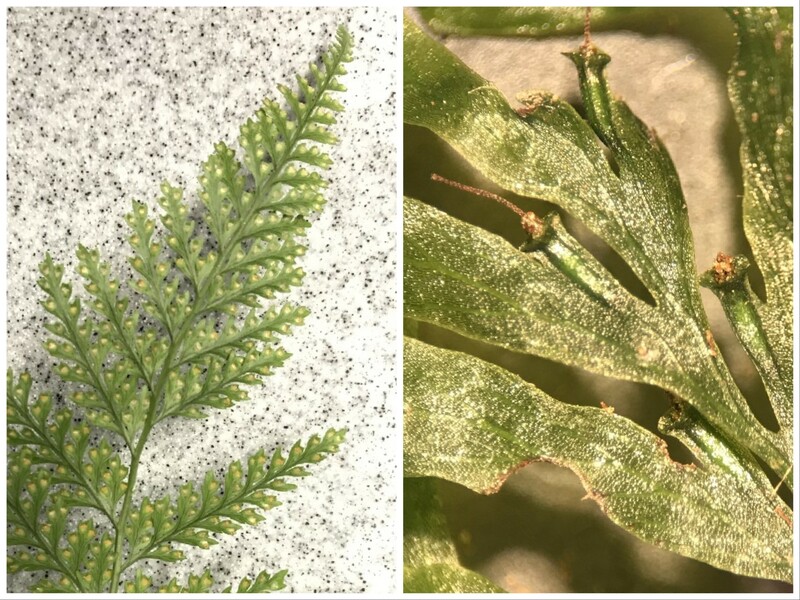 However, they can also be protected in ‘cup-like’ indusium structures, particularly common in the very small ferns of the family Hymenophyllaceae (Filmy Ferns). Sori are also linear in shape (elongate) and like the spherical sori, are located either along the central mid-vein of the pinnule (leaf-like structure), or at the pinnule margins. So, what do you think … art or science? Thank you for your lovely comments Alasdair and Sian. 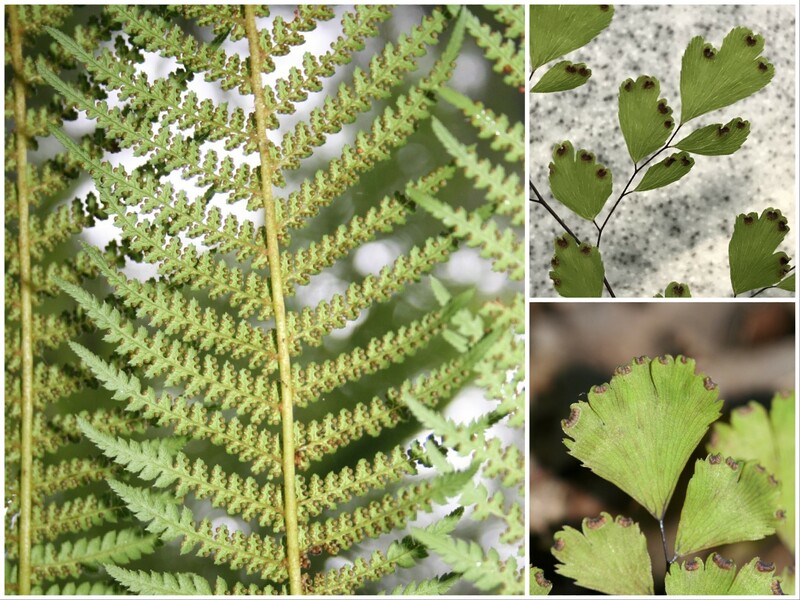 Yes, i find all plants fascinating, however am particularly interested in bryophytes, ferns and orchids! Very interesting post. It’s fascinating to see how very different ferns are to other plants, especially when it comes to the presence of spores for reproduction. But definitely both science and art. Good fun with words! I was almost going to say – you cant ever apologise for posting about plants! Then I saw what you did…hehe. I really enjoyed your post, particularly as you added so many great visual examples. just beautiful, thank you.